Type 1 diabetes (T1D) is an autoimmune disorder characterized by the selective destruction of insulin-producing β cells as result of a complex interplay between genetic, stochastic and environmental factors in genetically susceptible individuals. An increasing amount of experimental data from animal models and humans has supported the role played by imbalanced gut microbiome in T1D pathogenesis. The commensal intestinal microbiota is fundamental for several physiologic mechanisms, including the establishment of immune homeostasis. Alterations in its composition have been correlated to changes in the gut immune system, including defective tolerance to food antigens, intestinal inflammation and enhanced gut permeability. Early findings reported differences in the intestinal microbiome of subjects affected by prediabetes or overt disease compared to healthy individuals. The present review focuses on microbiota-host homeostasis, its alterations, factors that influence microbiome composition and discusses their putative correlation with T1D development. Further studies are necessary to clarify the role played by microbiota modifications in the processes that cause enhanced permeability and the autoimmune mechanisms responsible for T1D onset. Stecher B. The roles of inflammation, nutrient availability and the commensal microbiota in enteric pathogen infection. Microbiol Spectr. 2015. doi: 10.1128/microbiolspec.MBP-0008-2014. 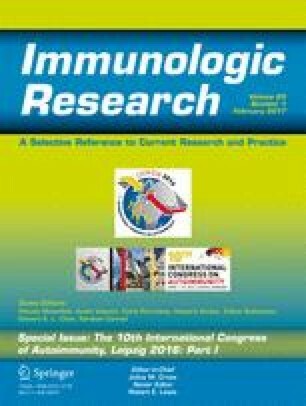 Sildorf SM, Fredheim S, Svensson J, Buschard K. Remission without insulin therapy on gluten-free diet in a 6-year old boy with type 1 diabetes mellitus. BMJ Case Rep. 2012. doi: 10.1136/bcr.02.2012.5878.